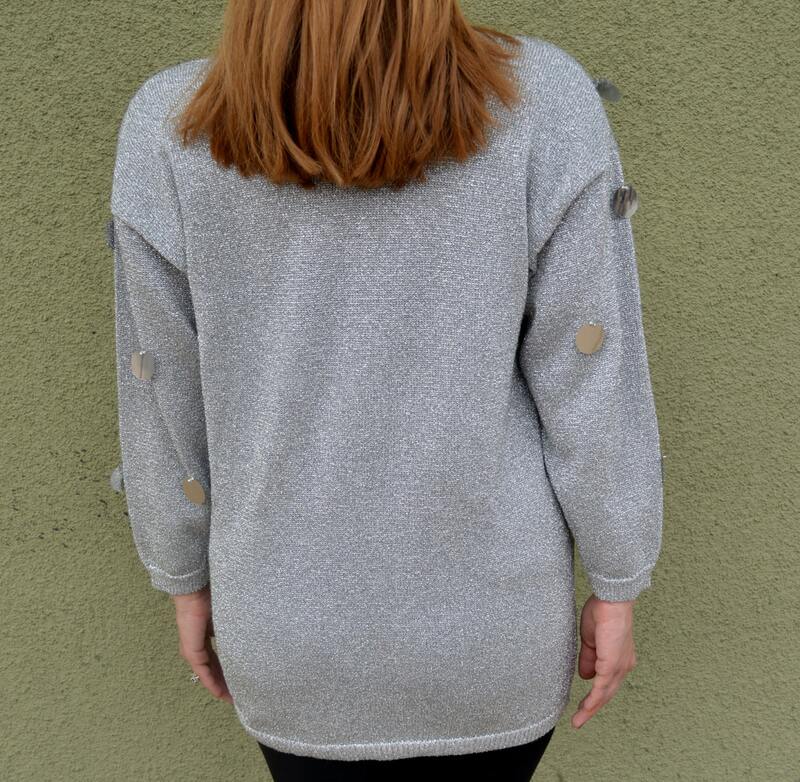 Beautiful 90s does 60s mod inspired sweater. 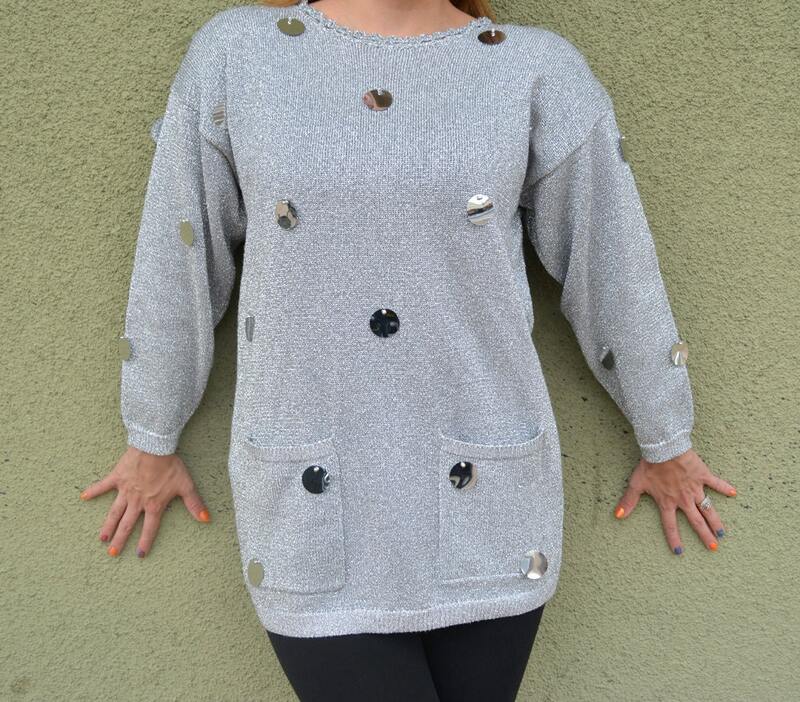 This is a stunning sweater, and it still has the original tags! According to the tag it was made in 1992 and retailed for $143. It is in wonderful condition. 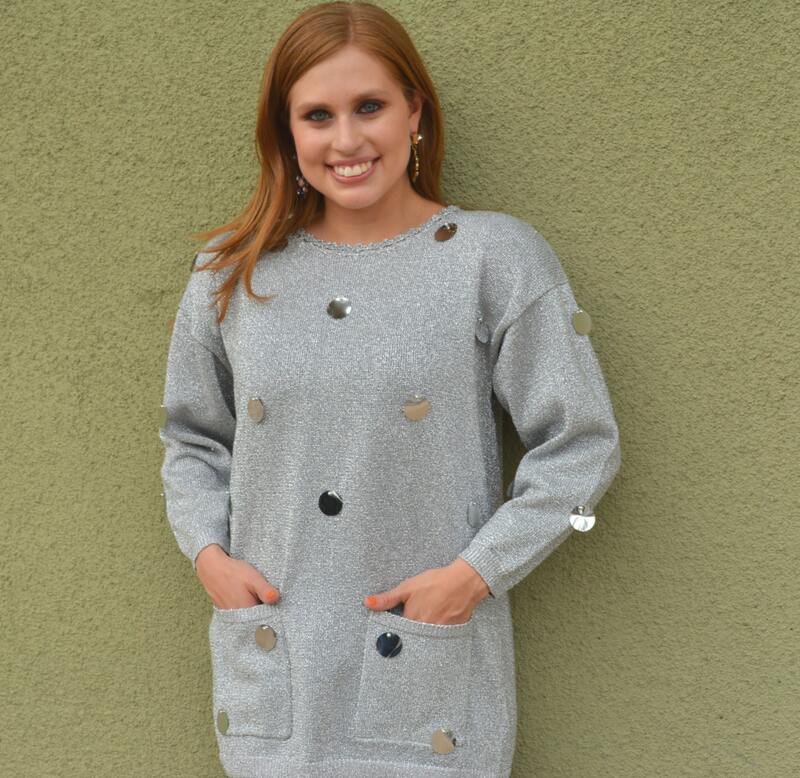 This sweater has a beautiful sheen made with metallic threads and large silver round sequins hanging from the front of the sweater and on the sleeves. 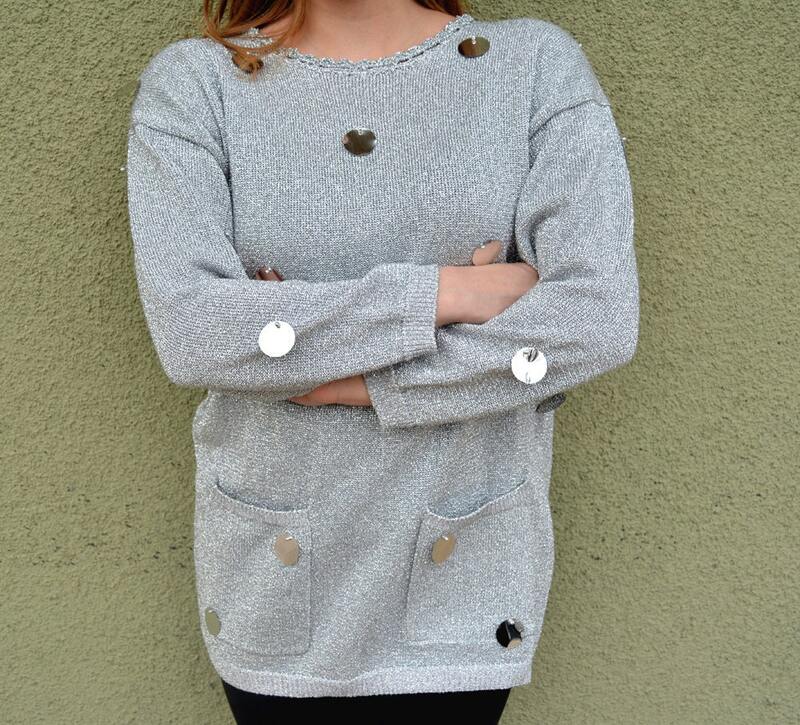 There are no sequins in the back of the sweater. I paired it with black leggings and combat boots for a more laid back, casual feel.